Universal Media Publishers Malaysia recently celebrated the 100th year anniversary of its local Chinese monthly magazine, Money Compass, by releasing a new English-language Money Compass. The introductory issue of the financial-planning medium carries stories and features related to wealth, while offering tips and tricks on managing money and achieving financial security. It also serves as a guide on saving, investing and planning for retirement. 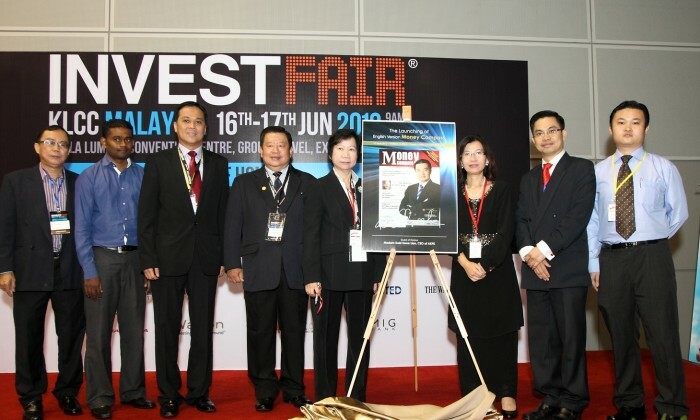 Amy Seok (third from left), principal consultant of Money Compass magazine sees the bi-monthly English edition as a perfect reading material and reference for individuals and wealth planners to obtain the latest trends and outlooks in the industry. “We hope to widen our reach and enable even more readers to benefit from information and the knowledge of experts and industry players. We hope the English version of Money Compass, like the Mandarin version, will also serve as an effective communication channel for financial institutions and wealth managers to educate the public regarding their services and products,” added Seok. The English publication targets a circulation of 15,000 copies and reaches out to wealth managers and retail investors, PMEBs and those with a strong concern of their wealth issue. Targeted advertisers include those from the wealth management industry, investment tools and distribution industry and luxury/lifestyle brands. Those on board include Public Gold, Kaspersky, CIMB Wealth Advisors (CWA), Eastspring, East West One Consortium and Agensi Kaunseling dan Pengurusan Kredit (AKPK) among others.